Enjoy a half price family break with Mulberry Cottages. Take advantage of their special discounts and deals with up to 50% off a range of selected Cottage holidays! 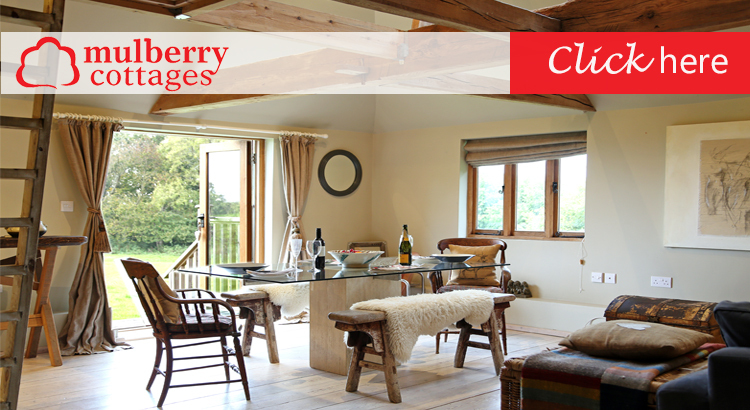 Be quick to book these cottage offers before they all go! 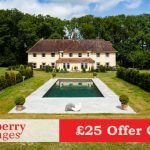 Claim up to half price off your next Mulberry Cottages holiday leaving you a bit more cash in your pocket! Simply click on the link below to see a list of thier best holiday offers. With up to 50% off selected cottages and £50 off dinner meals and Free Ferry tickets to Isle of Wight find the best deals with us and book your stay today. Mulberry Cottages is an online holiday cottage specialist, allowing you to book breaks in beautiful British cottages in the most stunning counties across the south of the UK. With a brilliant range of holiday cottage offers, you’ll find something to suit your needs and tastes from large family friendly cottages great for family getaways, or the more secluded and cosy places, perfect for couples looking to have a romantic break and even pet friendly accommodation, so there’s no excuse to leave the family dog behind! From everything from beach front properties, to stunning rural retreats and even swanky city apartments to choose from you are sure to find a place that fits all your requirements with Mulberry Cottages. With holiday cottages in some of the country’s best locations, we are sure that you and your family will have the perfect cottage holiday to really deliver a self-catering holiday to remember! To claim your special 50% booking discount just visit www.mulberrycottages.co.uk special family offers page.